Here are my videos from this past weekend’s autocross event. All and all, the event went well. Couldn’t quite catch the leaders in D-Street, but overall super happy with my runs. 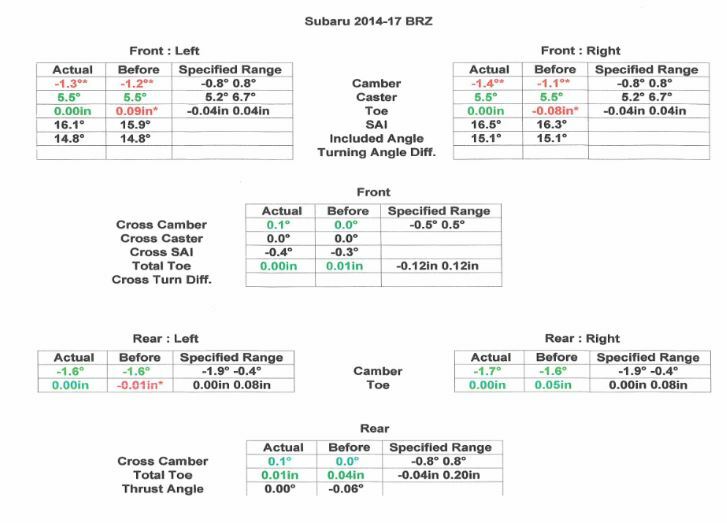 The BRZ got a few tweaks last week and the modest upgrades were a day and night difference. Thank you to Erik for running with me and helping me dial in the car on Saturday and An for running with me on Sunday. With the tweaks, the car felt worlds better! This entry was posted in Racing, Uncategorized by Kevin. Bookmark the permalink.